All boys are to meet the uniform requirements. 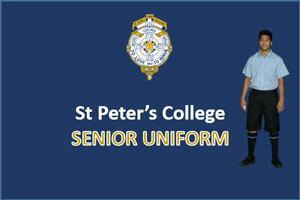 St Peter’s prides itself on wearing uniform to a high standard. Boys can purchase items from Edmund’s Shop at interval and lunchtime or see link below for other times available for parents. 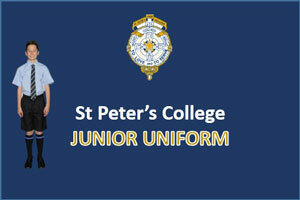 Mrs Andrea Alvarez, Edmund’s Shop Manager, will be able to help you with the correct school uniform requirements.